Landan Mark Bland passed away at age 3 in August 2012 after developing a brain tumor. After all, Carrie and Ed Bland lost their 3 ½-year-old son, Landan, to a brain tumor in August 2012. And yet, remarkably, the couple turned tragedy into tribute by creating an Ozarks-based non-profit called Landan’s LegOcy. It financially assists cancer-stricken kids and their families — families such as the Robertsons of Springfield. Just last October, Cub Robertson was diagnosed with leukemia. He was 5, and in kindergarten. Fortunately, Landan’s LegOcy was strong for their family by covering non-medical payments, and now the public can help the non-profit expand its reach. Landan’s is a first-year member of this year’s Price Cutter Charity Championship presented by Dr Pepper, a PGA Web.com Tour event that has raised almost $12 million in the past 17 years. 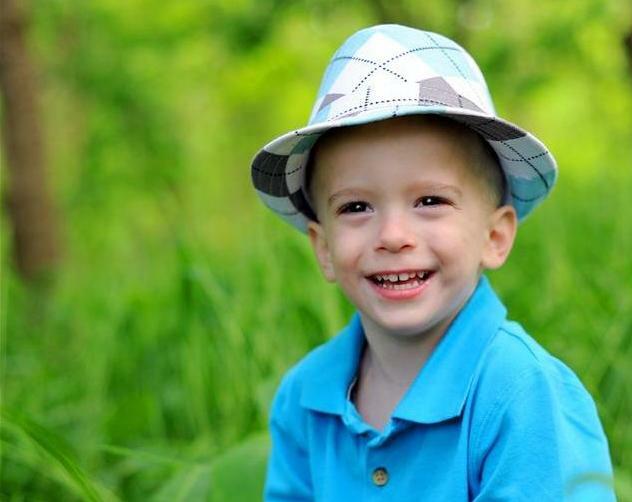 HELP LANDAN’S LEGOCY: The non-profit helps cover bills so families can concentrate on their cancer-stricken child. Email Landan’s at teamLandan@landanslegocy.org. If you visit the Landan’s LegOcy website, that’s Landan’s photo – the cute kid with the fedora hat. He was born six weeks early but all was fine until March 2012, when medical experts diagnosed the little guy with a brain tumor. Initially, the tumor was believed to be benign and that a surgery would take care of it. Unfortunately, doctors discovered the cancer was more widespread and diagnosed the tumor as S-PNET, a rare and aggressive type of brain cancer. A month later, at St. Jude Children’s Hospital in Memphis, Tenn., tests showed that Landan also developed an amplification of the N-MYC gene, a genetic marker which meant the tumor was extremely aggressive. In fact, it was the first case of its kind at St. Jude. Landan kept fighting and even had good days. But the cancer eventually became widespread. Sadly, he passed away on Aug. 29, 2012 just a few weeks before his 4th birthday. To Carrie and Ed, the hope now is that Landan’s LegOcy can help other families. Clearly, Landan’s LegOcy comes from the heart. A carnival was planned in September 2012 before Landan’s passing, and the family decided to keep the fundraising event. It hauled in $15,000. The Robertsons can attest to the good work of Landan’s LegOcy. After all, Marilyn and her husband, Devin, have received important financial assistance since Cub’s diagnosis last fall. Talk about being put through the ringer. Marilyn took a leave of absence and later had to resign from a job at a Springfield publishing group. She tries to find freelance work to help Devin, another Evangel University graduate, meet the bills. Marilyn had followed Landan’s LegOcy on Facebook even before Cub was diagnosed and eventually met Carrie. Fortunately, Cub appears to be making great progress. He’s scheduled for two more years of treatment but doctors expect him to make a full recovery, his mom said. 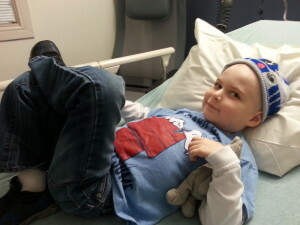 Cub Robertson is making progress in his battle against leukemia. He’ll be a first-grader this fall. That’s not to say there haven’t been scary times. After the initial shock, the family witnessed Cub experiencing a stroke on April 16, followed by five seizures, before doctors also found a blood clot on his brain. A medication believed to be the cause of the seizures has been dropped by the family, and blood-thinners have reduced the blood clot and avoided surgery. Overall, the Robertsons are thankful for Cub’s teachers at New Covenant Academy, who initially expressed concern that the kindergartener was looking pale after he already had battled pneumonia. It’s what led to the diagnosis – and then led to Landan’s LegOcy. “My friend said to me, ‘Marilyn, he’s going to be OK.’ And she said to me, ‘Just stop for a minute. Imagine what life is going to be like two years from now. What journey do you want him to see?’ The clouds cleared. I want him to be happy. 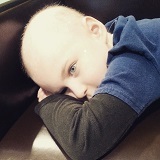 I don’t want him to be a child with cancer. I just want him to be a child. It’s going to be the best we can make it. 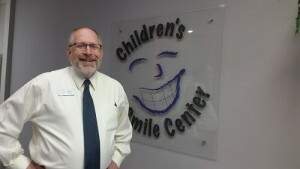 Jackie Barger is in his 30th year working for non-profits, including the past five with the Children’s Smile Center. In sports, you hear of over-achieving athletes eager to run through a brick wall, so to speak, for their passionate coaches. 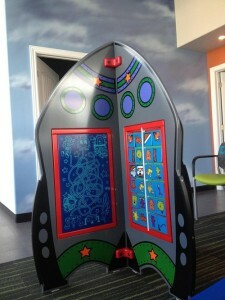 You might have the same urge after listening to Jackie Barger of the Children’s Smile Center. With a bounce in his step and passion for the non-profit dental clinic, Barger every day seeks out low-income families whose kids are on Medicaid and in need of dental care. In fact, he’s unafraid to stop by convenience stores and other businesses, and then hand out brochures and visit. Such stories drive the Children’s Smile Center, one of the 44 non-profits whose missions are aided in part by the Price Cutter Charity Championship presented by Dr Pepper. A year ago, the PGA Web.com Tour event distributed a record $1 million-plus. CHILDREN’S SMILE CENTER: The non-profit provides dental care for children from low-income families eligible for Medicaid in six southwest Missouri counties. To schedule an appointment or aid through the PCCC, call the center’s Ozark office at 417-582-5439. It also has offices in Aurora and Branson West. FOR BUSINESSES: Restaurants, clothing stores and entertainment stops, donate a gift card with at least a $25 value in the name of your charity of choice to benefit them in the Golf Ball Charity Auction. FOR GOLF FANS, WIN PRIZES: The purchase of a $25 ticket daily chances (during the tournament) to win gift cards from the local businesses. You’re also automatically entered to win a $10,000 prize and a 2015 Ford Mustang. The ticket also is a four-day pass to the PCCC on Aug. 13-16 at Highland Springs Country Club. DIRECTLY HELP THE CHARITY: Contact the local charity of your choice, simply because they receive revenue directly from the TLC Property Charity Sweepstakes tickets marked with their names. 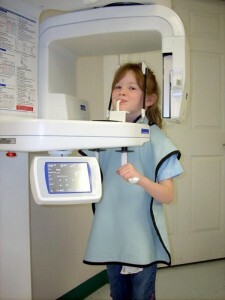 The non-profit last year covered 13,000 dental appointments for 5,600 children, or 2.3 appointments a year. That’s significant considering the percentage of children on Medicaid in the six counties serviced by the Children’s Smile Center. This is where Barger inspires a so-called call to action and rallies the cause of the non-profit. Barger, the non-profit’s executive director since 2010, rattled off some startling statistics, noting that 60 to 70 percent of kids in area small towns rely on Medicaid. 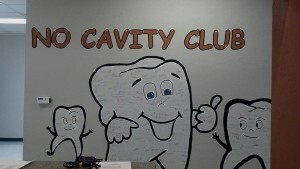 Unfortunately, only 10 percent of Missouri dentists accept Medicaid and the Smile Center knows of only two private-practice dentists in the six-county area that fall into that category, Barger noted. The reason dentists don’t accept Medicaid is because of a low reimbursement rate. The Children’s Smile Center conducts grant-writing and direct mailers seeking ways to supplement its $1.6 million annual budget. The non-profit now has three locations in Ozark, Aurora and Branson West after initially opening in 2006 thanks to a $400,000 grant from the Missouri Foundation for Health. The grant was for a three-year start-up process. The center received further financial support from the community, local dental professionals, building contractors and suppliers. Rogetta Prueitt, Joe Millsap and then Barger have served as executive directors. Barger has worked in non-profits for 30 years, most of them children’s non-profits. In addition, the Children’s Smile Center has become a popular destination for local students of Ozarks Technical Community College, Vatterott College, Midwest Technical Institute and Everest College as they complete their academic programs in dental hygiene and dental assisting. Students regularly rotate in and out of the center, and staff continues to provide advice and guidance to both students and the academic programs.